Electroless Nickel Plating Services | American Plating Co.
Electroless nickel plating (EN) is a process for depositing a nickel alloy from aqueous solutions onto a substrate or surface without the use of an electric current, rather than electroplating depends on a direct current which reduces nickel ions in the electrolyte to nickel alloy on the substrate. Reduction is a chemical procedure which uses electroless nickel plating also abbreviated as EN. Reduction reduces nickel ions in the solution to nickel metal. This process uses a few different reduction agents; however, the most common is sodium hypophosphite, which is used in over 95% of all EN plating. 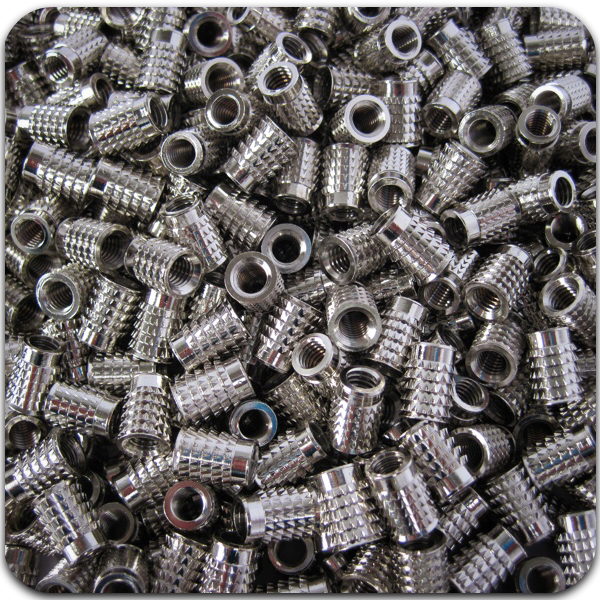 Electroless Nickel plating is extremely versatile and reliable. For example, EN plating avoids some of the issues of traditional electroplating such as uneven buildup that can require post process grinding. Instead, EN plating provides an even plating thickness that allows for tolerances to be achieved. EN plating also offers some of the best corrosion protection compared to other plated alloys because of this uniformed surface. We are proud to offer EN plating services and would be happy to discuss our capabilities with you! Give us a call at 314-776-0542 to discuss your project today.